It’s all a little reminiscent of the food courts at Tokyo train stations and mall basements or the food carts at a Japanese night market. 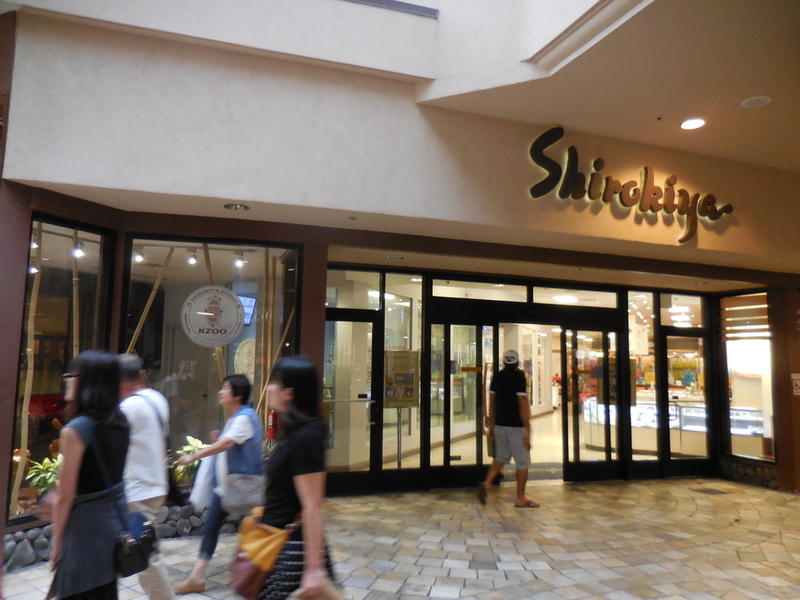 Yataimura food court sits on the second floor of Shirokiya department store in the Ala Moana Shopping Center. Made me miss Japan even more! (Ahhhh) Let’s talk about their endless selections of tasty Japanese bentos and ready-to-eat dishes. You can grab a delicious lunch, dinner or an in-between shopping break snack. While walking around, I found it was quite overwhelming as there were so many food choices. I was beaming with happiness! Tokachiya: We didn’t try this spot but since it was right at the entrance, there were tons of people enjoying their ramen. 5&2 Bento (Korean cuisine): Normally, I would have jumped on Korean food but since we were in a Japanese food court, we wanted to stick with Japanese food. If I had extra space in my belly, I would’ve definitely tried this. 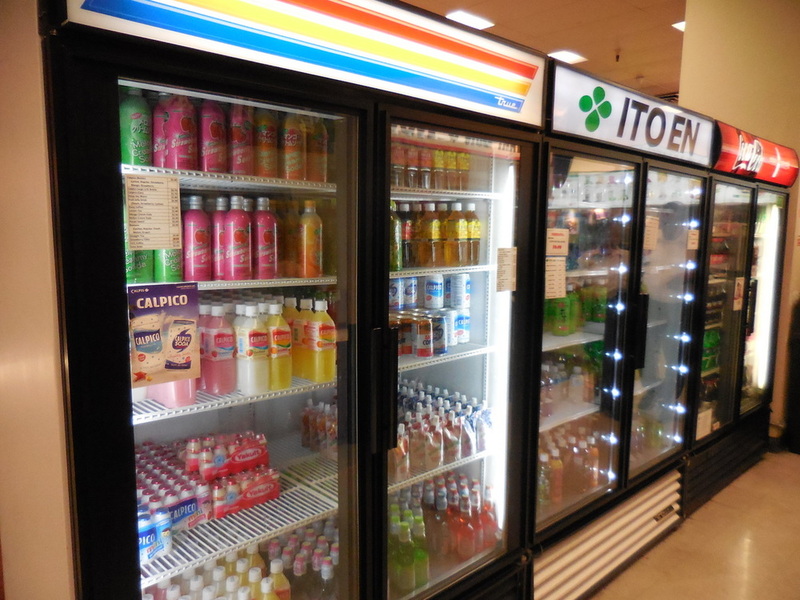 Mamaya: There are a few different food sections here; hot, cold, pre-packaged and made to order. The pre-packaged hot section includes bentos, noodles, etc. 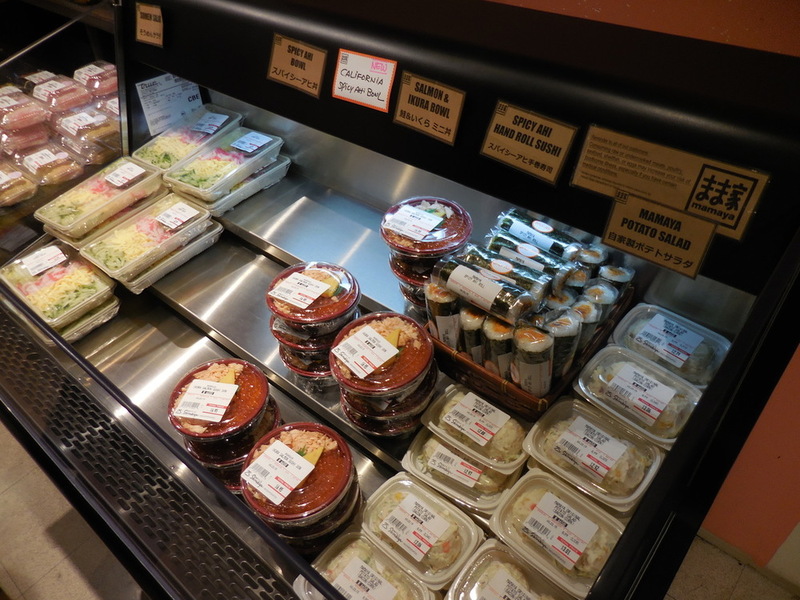 The cold section consists of onigiri, sushi rolls, salads, tofu, hijiki, etc. The self-serve hot table consists of fresh foods from octopus tempura, mochiko chicken, pork hash, nishime, meat balls, fish tempura, etc. Since it is sold by weight, you can pick and choose how much you would like. We ended up getting their octopus tempura and fried pork hash! Fukumusubi: For musubi lovers… You will find musubi of all sorts here; spam, salmon, special musubi combos and more. You will also find tempura, bentos and combinations. 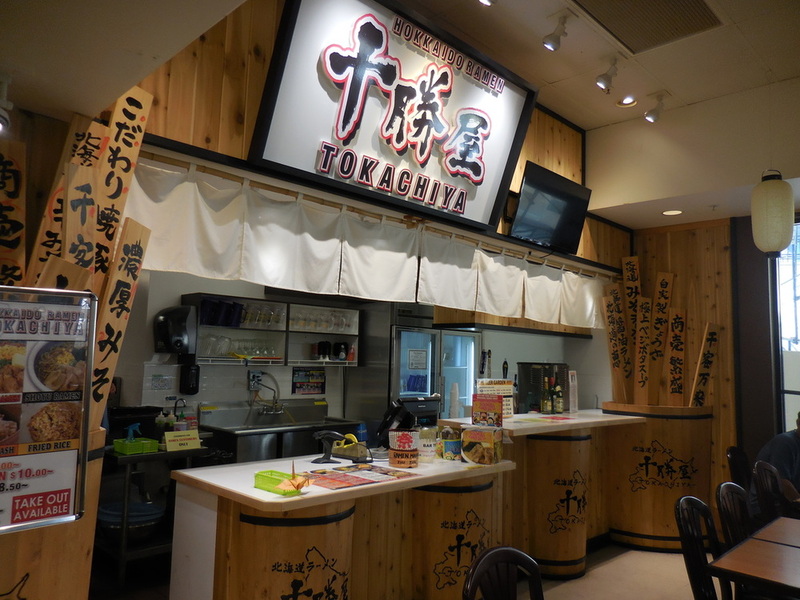 Machida Tsukemono: Right in the middle of the food court! Machida Tsukemono only serves tsukemono which is great as a side dish; no meals are served. Tsukemono are Japanese preserved vegetables. Takoyaki Yama Chan: This spot serves only two items; takoyaki and okonomiyaki. Takoyaki are grilled balls filled with octopus meat. Okonomiyaki are Japanese savoury pancake containing a variety of ingredients. 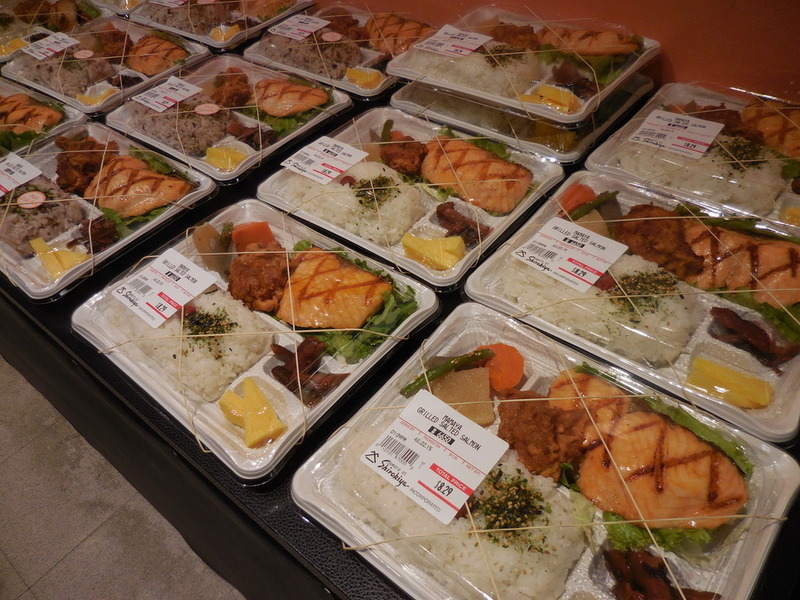 You can pick up a freshly made bento box with okonomiyaki, takoyaki or both. Takoyaki Yama Chan: Who loves takoyaki? I do! We had to get some!!! There were pre-packaged takoyaki but we had to order them freshly grilled. P.S. There is a glass screen so you can watch them make the takoyaki in a special cooker. Matsuzaka-Tei Sukiyaki-Don: When we were in Japan, I was obsessed with gyudon from Sukiya or Yoshinoya! Seeing this shop reminded me of them. Pre-packaged bento! Maguro Zanmai: This little spot was tucked away in the corner of the food court. I wanted to try it but after I made my full round, I ended up forgetting about it until after we left! Argh. Menya Ifu Do Do: I was craving ramen and the friendly staff at the front kept urging us to try it. Once we decided we wanted ramen, the next step was choosing a ramen from their extensive menu… Crazy! Black garlic ramen? Fukuoka Style ramen? Akaton oden tamago nose ramen? Shrimp tonkatsu ramen? We ended up getting the shrimp tonkotsu ramen! And of course you cannot have a meal without side dishes or drinks! Most of the shops (bento, takoyaki, etc.) at Yataimura food court are connected so you just pay at the front. I really like how there are plenty of spots to choose from at the food court. It’s really spacious! The decor was great too. Now if you go downstairs from the food court, you will end up at the department stores and desserts. The first floor is the Shirokiya department store which offers traditional Japanese products, healthcare and massage items, fashion eyewear, fine jewelry, cosmetics, accessories and more. My favorite part of this section is the Meika plaza where you can enjoy cakes, desserts and refreshing drinks.